Push the tab to remove the light assembly. 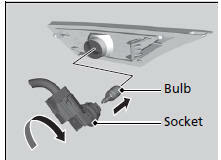 Turn the socket counter-clockwise to remove it, then remove the old bulb. 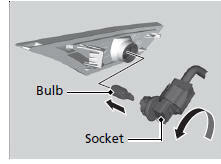 Turn the socket clockwise to remove it, then remove the old bulb. Parking/daytime running lights are LED type. 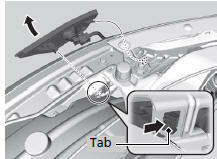 Have an authorized Honda dealer inspect and replace the light assembly.